Florida Mobile Home Roofing Options. 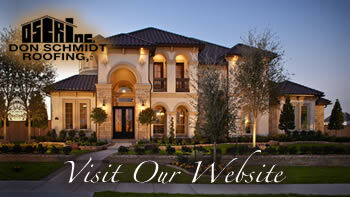 Home » Don Schmidt Roofing Blog » Florida Mobile Home Roofing Options. Mobile home roofing is more versatile than one may think it is. Several options will help solve the leakage problems many Florida mobile home owners have. Some options are more affordable than others and easier to install. We always recommend calling a professional when installing any roof, so the installation process is as smooth as can be with a quality finish. Here are four roofing options for your mobile home roofing. Steel Roofs offer many benefits such as longevity, durability, and safety. Steel mobile home roofs can last from 40-70 years sustaining up to 140 miles per hour wind. Unlike asphalt shingles a steel roof does not need as much of a periodic maintenance check. Steel roofs bring safety to your home by not igniting a fire or lightning strike. Asphalt Shingles are easy to install with little cost, making them a popular choice in the residential market. Just like traditional homes, asphalt can work for Florida mobile home roofs. The installation process is different than usual due to the structure of the mobile home, but the durability is the same. Asphalt shingles may bring a cozy feel to the mobile home, as you can choose the color of the shingles. Like the look of traditional shingles Composite Shingles are ideal for the structure for a Florida mobile home roof. A significant component of this style is the lack of weight and cost. Several companies design composite shingles to withstand mold and algae. Because it is lightweight, they are susceptible to blow off in high winds. Rubber Roofs are a great option for Florida mobile home roofing in that it is resistant to the growth of mold in humid areas. Florida can bring harsh weather, and with it comes debris. A rubber roof can withstand these elements, not to mention it’s very low maintenance and reduces outside noise.